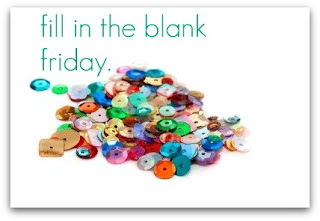 Linking up with Lauren at the little things we do for Fill in the Blank Friday. One thing that is completely superfluous, but that I could never give up is my Nikon DSLR. Well, let's just say I couldn't go back to my little 'ol point-and-shot. Small talk makes me feel awkward. I can't go to sleep without a goodnight kiss from my hubby. Tortilla chips with salsa and sour cream is my favorite snack. Lately I've been feverish. Baby feverish. If at first you don't succeed make a change and try again. Fall is one of my favorite seasons. I love the crisp air and changing leaves.